Ten years ago, insurance companies didn't cover chiropractic services, because they thought the treatments unnecessary and experimental. Nowadays, however, chiropractic services are more commonplace. Many insurance plans cover a certain number of chiropractic services per person per plan year. If you're interested in gaining a better grip on chiropractic billing, we recommend the ebook Chiropractic Billing Made Easy. It's a guide to getting everything right, written by a very experienced mother/daughter team of medical billers. Learn more about it here. There are lots of restrictions on chiropractors because their services are so specialized. As such, there's a very specific set of codes that chiropractic medical billing specialists can use. The following guidelines are set forth by CMS, and are used for billing Medicare. If you're billing for other commercial insurance plans, there may not be as many restrictions as those listed here. If chiropractic claims aren't billed correctly (with documentation of medical necessity) then they won't be considered or paid for by the patient's insurance company. 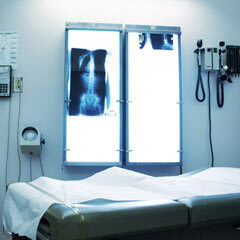 However, insurance won't reimburse for the use of an x-ray machine or for the extended examination. This means that anything performed by the chiropractor, other than the spinal manipulation, won't be paid by the patient's insurance company. More specifically, this is limited to the use of hands to correct a subluxation of the spine. In other words, the chiropractor uses his hands to help realign the patient's spinal column. Manual devices which provide an additional thrust or force are also allowed as part of the covered definition of manual manipulation. Even though they're allowed, CMS doesn't allow an additional payment for the use of the device. In order to get reimbursed by insurance for chiropractic services, the exact location of the subluxation must be clearly noted in the patient's medical chart. These locations range from the occiput vertebrae in the neck to the sacral vertebrae and coccyx. If both of these conditions aren't met, then the chiropractic services won't be covered. Example: chiropractic maintenance therapy, for the prolonged maintenance of a subluxation or for non-medically necessary therapeutic use, isn't covered in any circumstance. Additional guidelines are the usual medical billing and coding guidelines used for billing typical medical services. Understanding the basics of chiropractic medical billing may help you decide on your billing specialty. Perhaps you'll like the small set of specialized services provided by chiropractic offices. The detail-oriented and skilled chiropractic medical billing techniques might suit you better than regular, expansive medical billing. Interested in this specialty? 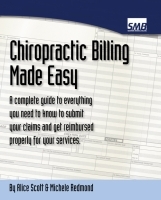 See our guide to chiropractic medical billing software.